Our maritime lawyers are handling El Faro crew member seafarer claims. If your loved one was a crew member aboard the El Fargo cargo ship, you may be entitled to compensation. To obtain the best possible recovery, consult with an experienced maritime lawyer for assistance in filing a seafarer claim. The attorneys at our firm have over 100 years of combined experience representing admiralty and maritime law claims, especially those related to seamen accidents. Commercial maritime companies have a responsibility to maintain safety aboard their vessels and to protect the rights of their crew members. Maritime laws, including the U.S. federal law known as the Jones Act, offer protections for seamen in the event that an injury or death is suffered as a result of negligent actions committed by either the vessel’s master or fellow crew members. The 33 seafarers working aboard the El Fargo cargo vessel, which was lost at sea after taking on water and experiencing propulsion issues during Hurricane Joaquin, were not sufficiently protected from perils at sea by their employer and were also placed in harm’s way by the ship’s captain, Michael Davidson, who kept sailing despite warnings that the storm would intensify. The hazardous conditions that the El Faro crew members faced during Category 4 storm conditions may be enough to warrant legal action. The fact that the vessel was 40 years old and had experienced prior structural issues, including a tendency to take on water, may be enough to warrant legal action. Because Tote allowed the El Faro crew to set sail, despite knowing that the vessel’s course would take the crew straight into the hurricane’s path thereby placing crew members at risk, the shipping company may be liable for damages to the families of the deceased seafarers. Because the captain of El Faro, Michael Davidson, continued sailing despite warnings that the storm’s forces would increase, the captain’s estate may be ordered to pay damages to the deceased seafarers’ families. OUR FIRM HAS FILED LAWSUITS ON BEHALF OF FIVE EL FARO CREW MEMBER FAMILIES. IF ONE OF YOUR LOVED ONES WAS A SEAMAN WORKING ABOARD EL FARO AND WISH TO TAKE LEGAL ACTION, PLEASE CONTACT OUR MARITIME ATTORNEYS. Our firm is only one of a few other firms that are filing lawsuits on behalf of the El Faro victims. Lipcon, Margulies, Alsina & Winkleman, P.A. specializes in admiralty and maritime law, with a concentration in maritime injury and death, including cases that involve seafarer accident claims. Crew claims are especially complex, due to the nature of the laws that protect seamen and the extent of crew member rights. Obtaining legal representation with an experienced maritime lawyer is especially critical to ensure the protection of plaintiffs’ rights. 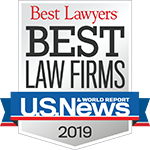 Attorneys Michael Winkleman and Jason Margulies discussed the specific rights of the El Fargo crew and those of the crew’s surviving loved ones, as well as the accident case in general on CBS, as well as other media channels.